The rain was subsiding, but there was still a drizzle coming down at approximately 7:35 PM on Sunday, December 4, 2016 when a Ford Crown Victoria crossed the centerline and struck a Ford Explorer sending both vehicles down a grassy embankment. Both vehicles were traveling 70 MPH on a major interstate. The Crown Victoria struck several small trees while the Explorer struck a medium-sized tree head-on. The airbags deployed in the Explorer, but not the Crown Victoria. The driver of the Explorer called 9-1-1 to report the crash. He was 30 years old and heading home after work. It was the night before his final exams for a Fall semester at college. The driver of the Crown Victoria was 23 years old and there were five other passengers ranging from age 16 to age 4. The Crown Victoria’s right wheel became detached from the vehicle causing the driver to lose control. No one sustained any injuries. The story is not necessarily work-related, but it was a “roadway collision with other vehicle.” According to the Bureau of Labor Statistics (BLS), “628 fatal occupational injuries occurred in 2016 from the same event. Work injuries involving transportation incidents remained the most common fatal event in 2016, accounting for 40 percent (2,083 fatalities).” Employees who drive their own vehicle for work-related assignments or those assigned a company-owned vehicle are in a unique situation. They share the road with the public and other employees in similar roles. Road conditions and other drivers on the highways are a constant challenge for employers because both occupational hazards are impossible to minimize or eliminate. If you consider the hierarchy of controls, administrative controls are an employer’s best option to reducing transportation-related fatalities. Safety meetings and toolbox talks offer nonstop discussion of driving safety. Creative topics will help avoid your passengers nodding off as you drive the message home. -Cognitive (anything that takes your focus away from driving). Texting and driving and talking on your phone fall into all three types. Employers should establish procedure that addresses the use of a cell phone or other mobile device by an operator of both personal vehicles and company vehicles used for work-related assignments. Newer vehicles on the road are equipped with hands-free capabilities, but the National Institute of Occupational Safety and Health (NIOSH) mentioned this past March that “hands-free cell phones are just as distracting as hand-held devices.” NIOSH spoke with a cognitive neuroscience professor who said, “The impairment is due to brain overload from driving and talking – multitasking – not because one hand is holding the phone.” Procedure prohibiting or restricting any use of cell phones and other mobile devices is growing popularity among employers. Let’s ensure safer driving among employees everywhere, shall we? Turn one-way on Better Boulevard. The roadway is a work environment unlike any other. 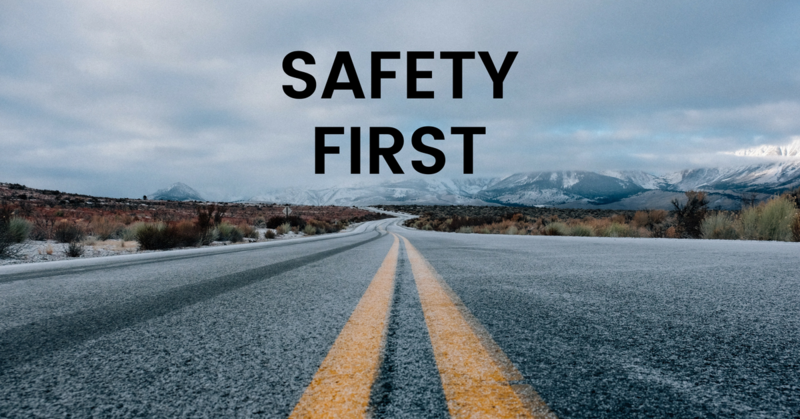 The Federal Highway Administration’s list of Proven Safety Countermeasures is successfully reducing crashes with infrastructure-oriented safety treatments and strategies. Employers must stay focused on employee and asset protection. According to the Network of Employers for Traffic Safety (NETS), “In 2013, the total cost to U.S. employers for motor vehicle crashes at work was $25 billion.” The time to take immediate action is now. As our days of sharing the roadways with other drivers continue, we must avoid becoming complacent behind the wheel. Success can be achieved by seeking customized safety solutions. Our HSE Advisors can provide effective driver safety training and a comprehensive strategy for combating driver distractions and improving safety for your employees behind the wheel. On a more personal note… Don’t let that nagging bell reminding you to put on your seat belt bother you. It’s only nagging because you waited too long to put on your belt in the first place. Wearing my seatbelt when I crashed my Ford Explorer the night before my final exams helped save my life. I have lost several family members to vehicular crashes. One was work-related. Plan ahead, ask for help, and drive safely.